Usage/ Application: The combination pack allows several products to be combined in one clear folding carton. It is best suited to the health, beauty, and toy industries. Special features: The thermoform tray makes the product look like it is floating inside the transparent plastic carton allowing for a 360 degree view of your product, drawing your customer's eye. Usage/ Application: Combining two products together is easy with transparent packaging. Special features: This example of a combo pack also has a printed fold over insert card. Package Type: Clear plastic printed box with thermoform insert. Can be used as a gift set and also makes a beautiful display for consumer impact. Usage / Application: A clean, attractive way to sell combination packs. Display both your product and any additional products in a pack with a clear package and a thermoformed insert to suspend smaller or more fragile pieces. Special Feature: The printing on the transparent package is used for the seasonality of the product and draw attention to the brand contents inside. The thermoform keeps the bottle and martini glass in place, giving the appearance the glass is floating. 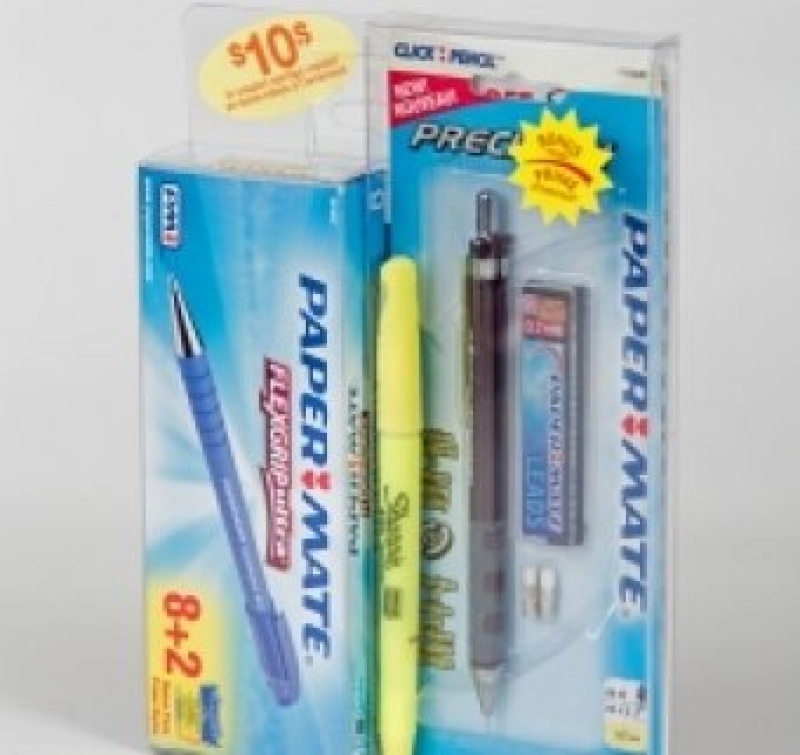 Clearpak has over 20 years of experience and know how in helping our clients design and implement that attention-grabbing combination pack or gift set. Usage / Application: Used to add value to your bottled product line. Special Feature: These transparent hangers or bottle neckers can be custom designed for your product to hold one or more products attached to your main product. A great way for adding value to a product, or drawing attention to a sample of a new product you're introducing to the market.